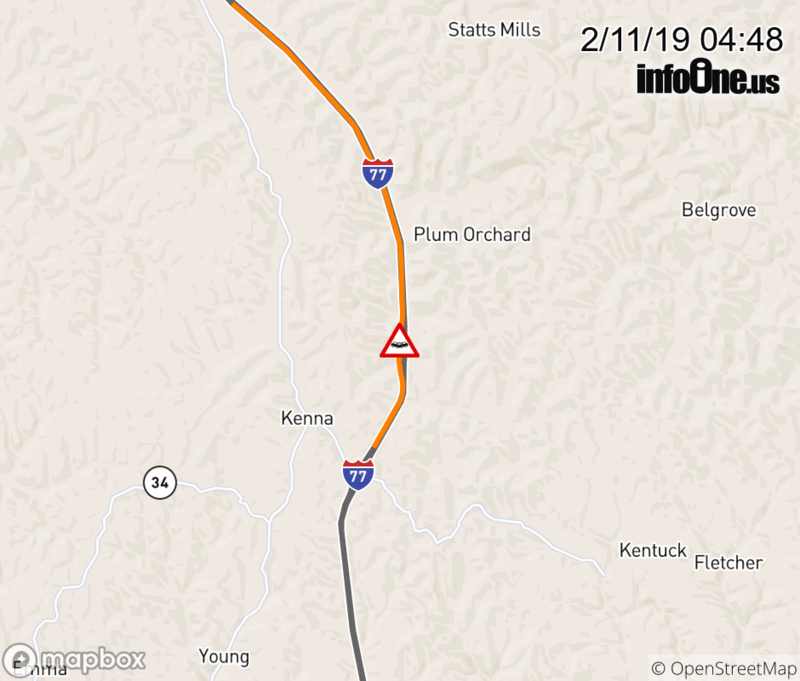 Location: I-77 SB at MM 126.5, WV Accident. Vehicle Accident on I-77 SB at Mile Marker 126.5. 1 of 2 southbound lanes are closed.